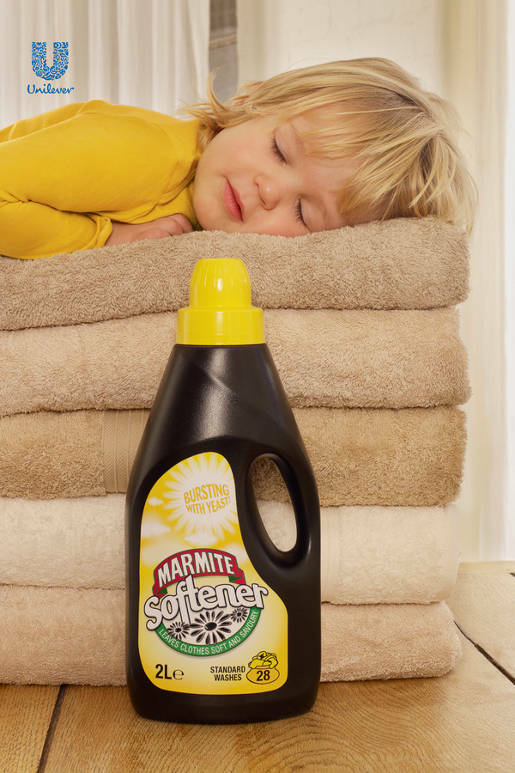 Marmite has launched a new print and poster advertising campaign featuring the brand’s most controversial product ideas, including a fabric softener, a shower gel and a perfume. 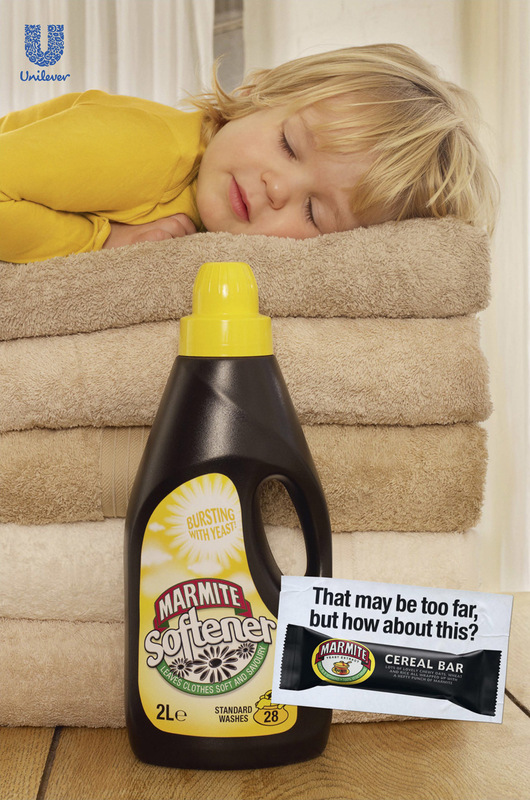 The first series shows spoof ads for Marmite fabric softener, shower gel and perfume, with just the Unilever logo in the corner. A second set of ads introduces the tag line, “That may be too far, but how about this?, a reference to the new Marmite Cereal Bar. Consumers are invited to visit the Marmite Facebook page to register their love or hate. The Spoof campaign is being supported by direct marketing and sales promotions, created by Iris, including spoof Marmite toothpaste packs, which inside will actually include a sample of the cereal bar, along with two discount coupons, one for a Marmite cereal bar and the other for a tube of toothpaste. Consumers can choose which coupon to use depending on whether they love or hate the product. Samples will also be handed out at selected London Underground stations and commuters will be filmed inside special Marmite booths tasting the Marmite Cereal Bars with the best ‘love’ and ‘hate’ reactions displayed on digital screens in the station. The Marmite Cereal Bar campaign was developed at DDB London by creative directors Jeremy Craigen, Feargal Ballance, Grant Parker, art director Victor Monclus, copywriter Will Lowe, photographer Sarah Maingot and designer Peter Mould.